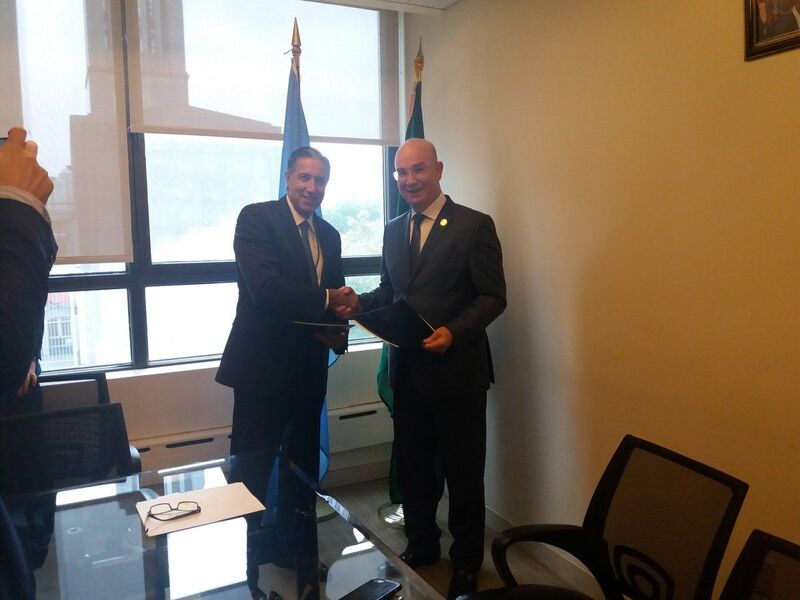 On 18 September 2017, the African Union (AU) Commissioner for Peace and Security, Ambassador Smail Chergui, and the United Nations (UN) Assistant Secretary-General for Peacebuilding Support, Mr. Oscar Fernandez-Taranco, signed a Memorandum of Understanding (MoU) on UN-AU partnership in Peacebuilding at the AU Permanent Observer Mission in New York, on the margins of the 72nd session of the UN General Assembly. The purpose of the MoU is to provide a framework and strengthen cooperation in support of peacebuilding and sustaining peace efforts in Africa. The MoU is a concrete step towards the implementation of the “Joint UN–AU Framework for Enhanced Partnership in Peace and Security” signed on 19 April 2017 by UN Secretary-General Antonio Guterres and AU Commission Chairperson Moussa Faki Mahamat. The MoU will further strengthen coordination of UN-AU efforts and contribute to a more predictable and strategic partnership in the areas of conflict prevention, political dialogue, national reconciliation, democratic governance and human rights.